Ko Dong Man, Choi Ae Ra, Kim Joo Man and Baek Seol Hee are four childhood friends who are now faced with the realities of living. Armed with no financial backings, sub-par education backgrounds, but just fiery hearts, they must fight to get what they want. Will they be able to risk it all for a chance at their dreams, or will they settle for a less satisfactory life? While the chaebol character seems to be out of style at the moment, the underdog is still as popular as ever. Fight My Way takes this beloved drama archetype and makes an entire drama about four underdogs’ neverending struggles. Unfortunately, I’m not a “slice of life” kinda gal and that the type of story is the opposite of what I want from my entertainment. I enjoy the escapist quality that most dramas have (chaebols, mermaids, envelopes of money, etc. ), but Fight My Way deprived of it. There’s a time and place for a realistic story about humble beginnings and social injustice, but a romcom kdrama is not it. Fight My Way took the fun out of my drama-watching experience because it tried to be something that it was never qualified to be: poignant. Admittedly, I quite enjoyed Fight My Way in the beginning because I was still under the impression that this was another lighthearted romcom. But when episode after episode became about how society and other more successful people were suppressing these characters’ precious dreams, I was over it. Nice try, Fight My Way, but I can stay woke on my own. The characters also weren’t interesting or charismatic enough where I found myself rooting for them over someone else. Their dreams were so random and arbitrary that it honestly seemed like the writers picked them out of a hat. Without compelling characters or a storyline that kept my interest, Fight My Way became difficult to finish. My other main complaint about this drama was Kim Ji Won and her character. While she was definitely one of the more interesting aspects of Descendants of the Sun, I don’t think she’s anywhere close to being lead actress material. Her acting is fine and passable, but she lacks the finesse and screen presence that other actresses have. I also really disliked the way she played Ae Ra. Instead of making me empathize with her, I just found the character to be unbearably self-entitled. Park Seo Joon and his character were unmemorable in this drama, which is a shame because I actually do like him. His crying scenes, however, were pretty great, so at least there’s that. And everyone might be going ga-ga over their chemistry, but I personally found it mediocre at best. I might be in the minority here since a lot of people seemed to really enjoy Fight My Way, but I just did not care for it. This drama tried to pass itself off as an inspirational story about dreams and love, but it moreso came across as self-righteous than anything. Despite its best efforts, I walked away from this drama actually feeling more jaded. Ironic, ain’t it? I have to confess I watched this drama two months ago and can’t really remember that vividly what I thought of it at this point… so this might be a little condensed. However, I do remember really enjoying it and looking forward to watching it week after week (yes, on schedule with the airing! Even when I was traveling!). After being super underwhelmed by Park Seo Joon in She Was Pretty I was pleasantly surprised by how well he did in Fight My Way. I liked that he plays a sort of all-muscles-no-brain kind of guy, a real departure from the typical idol casting we see in most dramas. Speaking of departures, what I really love about this particular drama is that it doesn’t fall in line with what we expect. I love that it is about a bunch of poor kids with no financial backings trying to figure out how to reach their goals and fulfill their ambitions. In a way, it is inspirational. I felt hurt alongside them when they couldn’t afford to do what they want, and battled with the choice between slaving away for a stable income or risking it all for a shot at their dreams. What I could’ve done with out, perhaps, are all the random subplots. I could’ve cared less about Dong Man’s first love or the sort-of birth secret. To me, they seem more like distractions and add very little, if anything at all, to the story. To that end, I would recommend Fight My Way to anyone who enjoys coming-of-age dramas. It is not flashy and just like its title says, is really about the struggle people endure in getting to their goals. 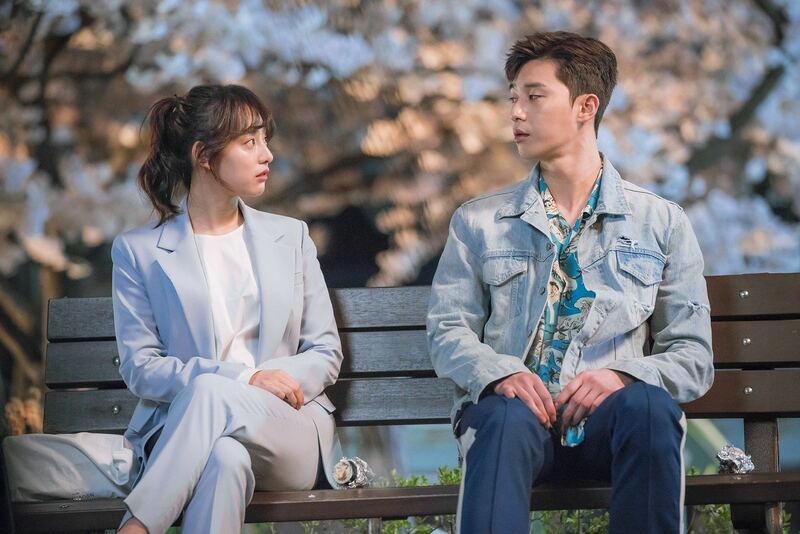 But really, the chemistry between Park Seo Joon and Kim Ji Won is also on point; what can I say, I’m a sucker for friends-turned-lovers story lines! 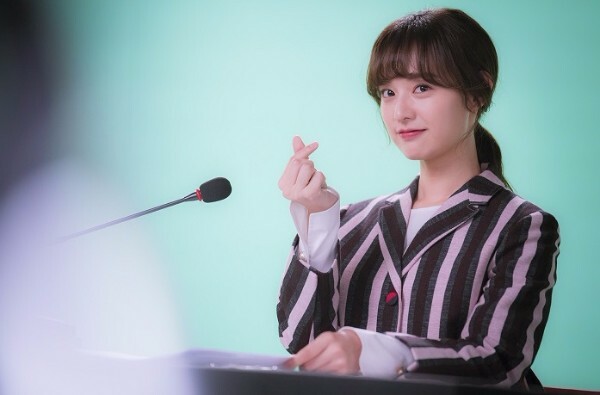 Kim Ji Won is most well-known for her role as the army surgeon, Yoon Myung Ju, in Descendants of the Sun (2016). Fight My Way is her first drama in which she has a leading role. Park Seo Joon most recently starred in Hwarang: The Poet Warrior Youth (2016) alongside Go Ara and Park Hyung Sik. Despite the trio of popular actors, the drama was a commercial failure and critically panned. 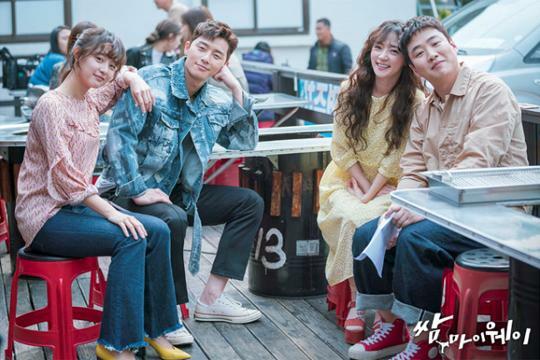 The writer of Fight My Way revealed that the drama was partially inspired by the relationship of famous MMA artist, Choo Sung Hoon, and his wife, Shiho Yano. Fight My Way achieved the highest viewership rating of its timeslot, and had an average rating of 12.6 percent. I thought the drama was a little bland too. Not bad but a bit boring and some really random side-stuff.